New York, 20 June—Delegates at the tenth meeting of the UN Open-ended Informal Consultative Process on Oceans and the Law of the Sea (ICP-10 or Consultative Process), which took place from 17-19 June 2009, at UN Headquarters in New York, US, addressed: the implementation of the outcomes of the Consultative Process, including a review of its achievements and shortcomings in its first nine years; issues that could benefit from attention in the future work of the General Assembly on oceans and the law of the sea; and consideration of the outcome of the meeting. The meeting’s outcome consists of a report drafted by the Co-Chairs, which will be forwarded to the General Assembly for consideration at its 64th session under the agenda item “Oceans and the law of the sea.” More. Photo: L-R: ICP-10 Co-Chair Paul Badji; Alice Hicuburundi, DOALOS, Serguei Tarassenko, DOALOS Director; and ICP-10 Co-Chair Don MacKay. Reykjavik, 27 June—The 2009 International Hydropower Association (IHA) World Congress on Advancing Sustainable Hydropower convened in Reykjavik, Iceland, from 23-26 June 2009. This event provided a forum for dialogue among hydropower companies, investment and development banks, non-governmental organizations (NGOs) and other stakeholders involved in the development and operation of hydropower projects. More. Photo: Richard Taylor, Executive Director, IHA (second from left), gets a standing ovation from Congress participants. Vienna, 25 June—The Vienna Energy Conference 2009 convened at the Hofburg Palace in Vienna, Austria, from 22-24 June 2009, and served as an opportunity to, among other things: shift the debate on energy and development beyond generalities to identify specific courses of action; initiate and advance regional and international co-operation; celebrate the tenth anniversary of the Global Forum on Sustainable Energy; provide inputs to the UN Climate Change Conference in Copenhagen; and present new international energy initiatives such as the International Renewable Energy Agency (IRENA). More. Geneva, 20 June—The Second Session of the Global Platform for Disaster Risk Reduction (DRR) convened from 16-19 June 2009, in Geneva, Switzerland. The meeting represented the primary multi-stakeholder forum for all parties involved in DRR and aimed to raise awareness on reducing disaster risk, share experiences and guide the UN International Strategy for Disaster Reduction (UN/ISDR) system. Participants also prepared for the Hyogo Framework for Action mid-term review. 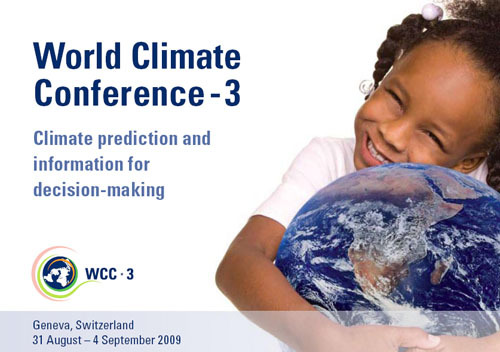 A Chair’s Summary from the meeting will help set the agenda for the global DRR community to prepare for the mid-term review and the UN climate change negotiations in Copenhagen in December 2009. More. UN ECOSOC 2009 Annual Substantive Session: 6-30 July 2009. Geneva, Switzerland. IPCC AR5 Scoping Meeting: 13-17 July 2009. Venice, Italy. Fourth Session of the CGRFA ITWG-PGR: 15-17 July 2009. Rome, Italy. Twenty-Ninth Open-Ended Working Group of the Parties to the Montreal Protocol: 15-18 July 2009. Geneva, Switzerland.